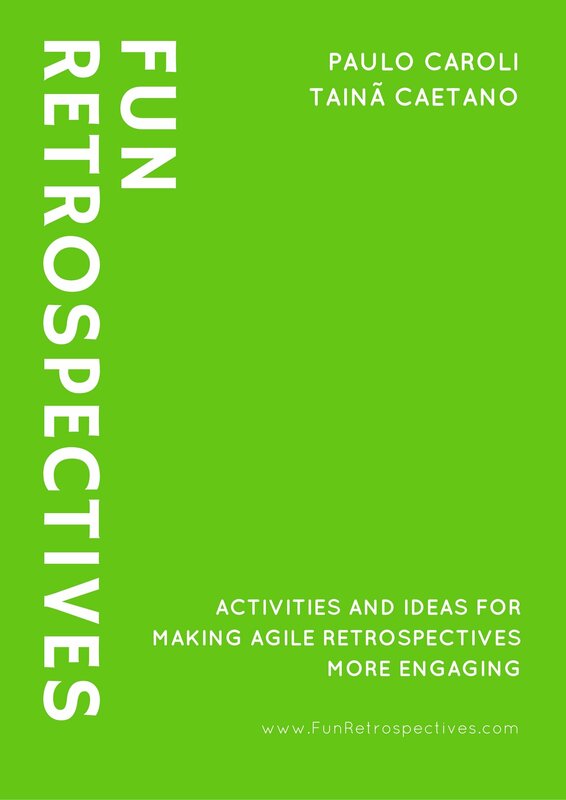 The LEGO® retrospective is a fun and stimulating activity that fosters a group conversation about feelings and future directions. Place the LEGO® box at the center of a meeting table (or on the floor). Ask everyone to sit around the LEGO® box, as they will use and share them. 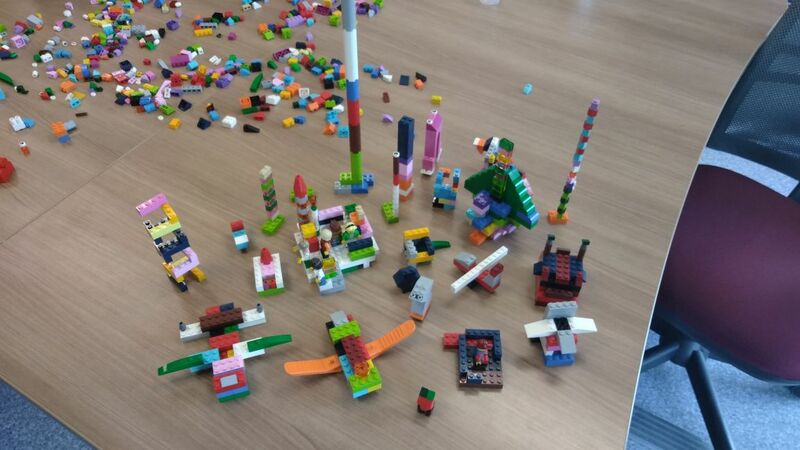 Ask everyone to build an animal with at most 8 LEGO® bricks to represent how they are feeling. Instruct each person to show his/her animal and then talk about it and their feelings. Ask everyone to build a model with any number of LEGO® bricks within 6 minutes to represent the group’s future directions. This activity creates a playful and sharing environment – people will share feelings, opinions and LEGO® bricks! – this is especially useful for fostering conversations about feelings and collaboration. LEGO® fosters collaboration and openness on people. LEGO® has been used in many workshops and training for creating a learning environment which simulates real work activities or create metaphors for bringing up concepts and conversations. 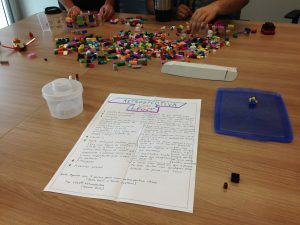 This activity idea and photos were shared by Alexandre Silva, who ran a retrospective based on a previous LEGO® SERIOUS PLAY retrospective blog post by Dominic Krimmer.